Would you like to know 3 secrets to achieving your goals so that you can make it all happen faster? The 3 secrets outlined in this video are not rocket science. 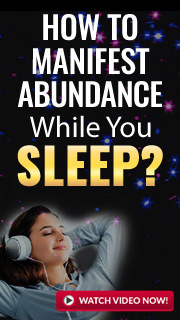 They are the basics to the principles for manifestation using the Law of Attraction, yet it is necessary to bring them to the forefront of your everyday efforts to orient your mind set towards success and achievements. Now, onto the 3 mind set secrets that you need to be aware of that will help you achieve your goals that much faster. Have you ever noticed anyone in your life that has a sunny disposition, all the time? Have you also noticed that this individual seems to sail through life effortlessly, as well? Well, perhaps the right mind set is the key to real and lasting happiness. At the end of the day, no matter what happens, we have the power to choose our thoughts at any given moment. Developing the right mind set will help you reach your goals faster and easier when you know these 3 secrets. Secret # 1. There Is Work Involved. Just like anything else in life that is worth having, developing the right mind set has a little bit of work involved. However, this work is not too painful. It really is a matter of training your brain and resetting it to a program you want to replay over and over again. You must make an effort everyday to listen to how many times the voice of negativity comes to visit. When you hear that voice of negativity that wants to sabotage your success, keep you safe, and makes you fearful, you must work hard to deflate it. Rather than give in to that voice of negativity, take a minute to look deeply into that thought and see if there is anything useful in it for you. For example, if you are feeling fearful about a new endeavor, listen deeply and see if there is any validity to that fear. If not, then chalk it up to self-sabotaging talk and move forward. Secret # 2. Re-train your Brain. Re-training your brain takes practice every day. The use of positive affirmations is a useful tool in re-training your brain. Although it might feel a bit awkward at first, positive affirmations really do work…given time and diligence. Another way to re-train your brain is to use Isochronic tones that will re-calibrate your brain using the newest, revolutionary “brain science.” It’s quite simple really. These tones are fed into your brain when you listen to a specific set of audio files using a particular daily routine. To understand better, you can get a FREE e-book called, The Ultimate Guide To Brain Hacking. Get it FREE HERE! Secret # 3. Align Yourself with Success. We all have goals. The difference between those who succeed and those who fail, is that those who succeed are willing to try. If you are afraid of failure then see how you can turn that around. Maybe failure is a way of learning, but never trying will not equate success. Align yourself with success by taking on new things. Network in different places, join seminars, take classes to boost your skill set and your confidence. Try something new that you have never done before – even if it is, say, something like public speaking. Set your own self up for success by putting yourself in places where you are bound to succeed, and learn to recognize that even if you fail once or twice, the mere fact that you are trying, aligns you with success. Once you have succeeded in smaller steps, you will feel more confident to take on more and more and eventually reach those coveted goals. I hope you take action and download the FREE e-book, The Ultimate Guide To Brain Hacking. Get it FREE HERE! It may just change your life!